Please click on image to download a high quality version for use in clinic. This can be as a patient handout or poster. Do you want a version in your language? Then look below, we now have 10 languages! 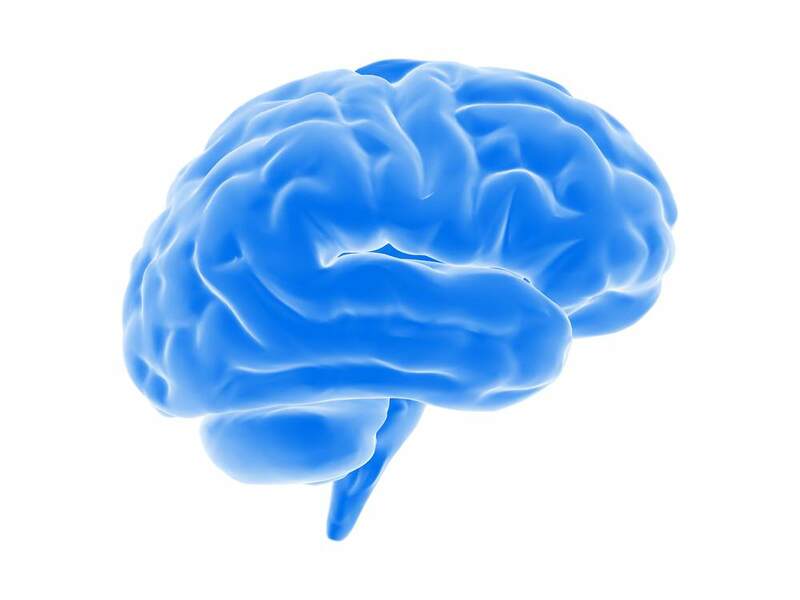 Pain education – How much neuroscience do you really need? Pain education has for many become an integral part of the treatment process and rightly so, being able to help people understand what is happening to them is a must. One of the most frequently used methods to help people better understand pain is based on the neuroscience and physiology of pain. In some cases this can be sufficient to help people understand more about pain but is neuroscience ALWAYS required? Many patients may benefit from an explanations that do not include information related to these aspects. Also, does a neuroscience based approach adequately explain the EXPERIENCE of pain and acknowledge the person EXPERIENCING it? The neuroscience of pain could be explained in a standard way involving the various bits of neuro anatomy and the associated physiological processes to a room full of people, BUT if we were to interact individually with the PEOPLE in the room we may find that they have wildly varying EXPERIENCES associated with that pain. So neuroscience may explain how the the sensation of pain is created, and many of the oddities that surround it, but does it fully explain the experience? Human beings after all are much more than the sum of their parts, and this is what makes us individuals, and does a generic universal explanation imply that pain is all the same? A neuroscience based approach could be described as an objective view rather than a subjective one, but perhaps it is the subjective that seems to most explain the impact of pain on people’s lives. A question to ponder is that if structural anatomy, and the damage to it, does not adequately explain pain does neuroanatomy and physiology? It certainly pokes holes in the common belief in a simplistic relationship between damage and pain but does it fall short in explaining the experience and the behavioural responses that have such a profound impact on the wellbeing of the person and those around them? We could take brain imaging or nociceptor firing thresholds or the dorsal horn sensitivity of anyone and display it on a screen, can I differentiate the different experiences that people have by doing so? From my perspective I want people to know that pain is MORE then just a sensation to be recorded in a score, rating or questionnaire. It is in an experience that can puncture or our existence in many ways and that many parts of our existence can affect our pain experience as well. Pain is far more than just physical, it affects our overall well-being and emotional state and this is completely NORMAL. For example our mental health is part of our wellbeing and goes up and down in the same way that physical health does. We often place a much greater stigma on mental health though and we might need to let people know IT IS OK NOT TO BE OK with regards to this facet of their pain experience. We can feel low, worry about the implications of the pain and have greatly reduced expectations for recovery. These aspects form our individual experience and addressing these aspects for some people could be the key for their recovery. The MEANING that someone associates with pain, the emotions and changes in behaviour, the belief structures, these are the things that make the pain experience unique to the individual. These are the things that differentiate one persons experience from another and why some can cope whilst others are disabled by pain that might be of a similar intensity. We could say that neuroscience is merely a process involved in that experience, but instead of putting the person at the forefront of that experience do we now place the therapist and the information they hold as the star of the show? A very simple analogy ( and please remember that they are never perfect!) I use for helping people understand the differing meanings people attribute to pain is that of a Petrol gauge. 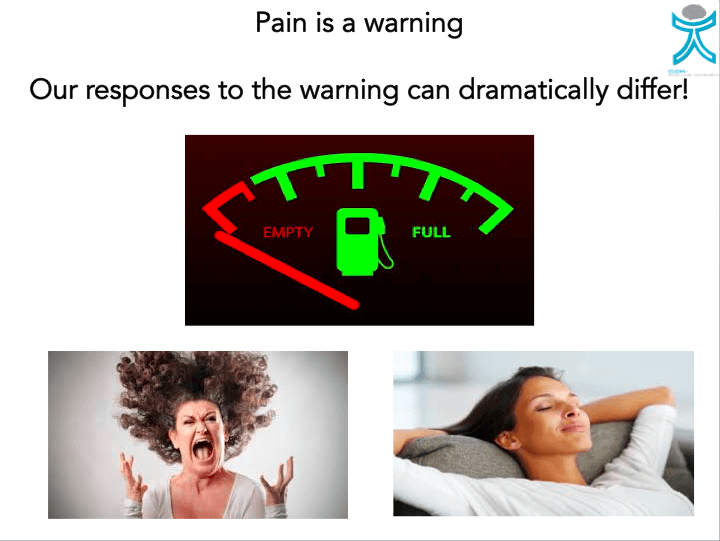 We could conceptualise both pain and a petrol gauge as warnings. How we respond to these warnings can be very different. In the case of the petrol gauge some people may be quite comfortable to drive on even though they have the gauge on empty, perhaps they know their car and exactly what it is capable of doing. Someone else may rush to get petrol straight away; their response to the same situation is completely different. Perhaps they have run out of petrol before and remember a bad experience? If we changed the context would that have an impact? Would the comfortable people feel different in someone’s car? Education should be something we do WITH people rather than something that is done TO people. One of the key aspects in the clinical encounter is the individual journey that someone has had in relation to their pain. How do we use our increasing knowledge of pain to adequately explain THEIR therapeutic journey, story and ultimately their overall pain experience. Qualitative research tells us that people crave an explanation for their problems, that they want a diagnosis HERE & HERE . This is often not possible and so a narrative becomes vital and this can often involve learning more about their pain and the way it behaves. There is a huge difference between helping generate an alternative positive personal narrative and just the application of information about pain however. Rather than an information dump, the selective use of pain related information should relate to something that is involved in the dialogue that is occurring between two people. A large criticism of, and negative responses to medical interactions appears to be HCP’s not listening to people and talking AT them rather than to them. There is a danger of this with any application of information in a generic way. There are many ways in which we can educate people about their experience. Part of this DOES include neuroscience, especially from the perspective of a clinicians understanding of pain. How much of this needs to be part of the educational experience of the person though? Some of the factors that are associated with worse outcomes in back pain, such as increased passive coping and low self-efficacy HERE, might actually help change behaviour. Informing people that THEY are the key to their own recovery! There are many ways in which we can educate people that don’t involve the neuroscience of pain. Regardless of what type of information provided, the most important thing is to create a positive experience for the person and to try to describe pain as a positive part of the human experience. After all you would not want to live without it! Another very simple analogy I use, and of course is context dependent, is to compare pain to red wine. A glass of red wine for many is a good experience but have a bottle instead of a glass and that can be to much of a good thing, especially the next day. We would like pain at the appropriate times and the appropriate levels. With the biopsychosocial model we are opening up many new therapeutic influences and targets for treatments but amongst all these problems we can also work on things that are positive within peoples lives and in negative times, such as during pain, this maybe a great way to alter someone’s current experience. This is a fantastic paper on focusing on resilience and sustainability HERE. It is more than just physical it affects our well-being and emotional state and that is NORMAL. It may become more about these affective factors as it persists. Human beings are very complex and much more than anatomy that becomes damaged or even sensitised. 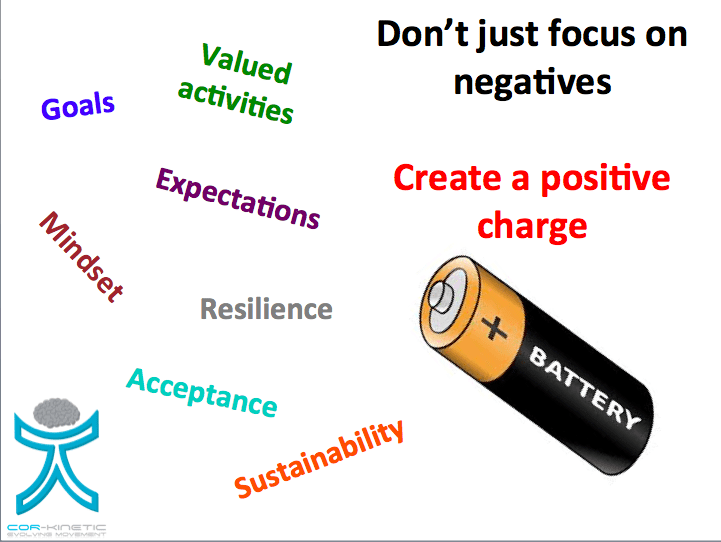 Focus on positives factors not just negatives ones. https://cor-kinetic.com/wp-content/uploads/2018/04/screen-shot-2017-12-12-at-13.55.39.png 375 500 Ben Cormack https://cor-kinetic.com/wp-content/uploads/2017/02/cor-kinetic-logo.png Ben Cormack2018-04-24 14:59:372018-06-19 04:46:02Pain education - How much neuroscience do you really need? Knowledge is power- What I need people with back pain to know. Here is some information I would like anyone with back pain to know. Whether it is the first time you have had back pain or you have had it for ages. This has also been turned into a downloadable PDF so you can share with colleagues, patients or anyone you feel it may help. Please click Back Pain Share Pdf to get it! Back pain is normal. Up to 20% of people are likely to get some each year and a whopping 80% of us will get some back pain in our lifetime, in fact it would abnormal not to get back pain. Back pain can last up to 6 weeks – this maybe longer than you anticipated. So if it has been going on for a bit there is no need to unduly worry. Lots of pains only last a number of days but it is still normal for it to last longer. Although we all know someone who has had long term persisting back pain that has caused lots of problems it is actually somewhere between 10% and 25% of people with back pain that lasts longer than normal. So you have good odds it won’t last longer than 6 weeks. Back pain is no different to any other pain in our bodies such as shoulder, ankle or knee pain although people do tend to worry more about it. Pain itself is normal and nothing to be scared of. It is a protective mechanism that has evolved help us out. You would not want to live without it! Pain is not a good at reflecting the physical state of our back or any body part. We can have lots of pain without significant damage. Think about getting a paper cut or a bee sting. They can hurt like hell but don’t really damage us. Diagnosis can often be challenging with back pain although I know that people often want an answer. We don't always need a definitive answer to help you. The vast majority of back pain is not serious, in fact around 99%. The 1% is mostly fractures, can include cancer, but these a pretty rare occurrences. Around 10% can be pinned down to a specific tissue diagnosis such as a disc or a nerve. These statistics mean that it is unlikely to be a ‘slipped disc’ or a nerve problem and people often throw these terms around as causes without really knowing this for sure. This can often be unhelpful. Therapists have some tests to tell if the problem is in that 10%. These include clinical tests for the nerves and nerve roots as well as muscle strength, sensation and reflex tests. It is very difficult to make a diagnosis from a MRI alone. Lots of MRI findings also exist in people without pain, hence the need for a clinical exam to accompany a scan. MRI’s are not able to show us pain. So we often can’t pin it down to a specific tissue or pathology around 9 out of 10 times. There are lots of different tissues in a small space and if it is irritated or inflamed then it may affect more than one of the tissues. Inflammation is a good thing. It means the body is working well and doing its repair jobs. From a medical perspective this type of back pain is often termed ‘non-specific’ and we should see this as a positive diagnosis as it means nothing serious is wrong. It could still hurt a whole lot though. The term ‘non-specific’ means the tissue, not non-specific to you or has no origin. YOUR PAIN IS ALWAYS REAL AND SPECIFIC. Non-specific pain often responds well to moving and although we cannot give an exact label does not mean we cannot give some ideas to help or an a basic explanation about why you might have back pain. Lots of different factors (many which you may have not considered) can affect your back pain. This can mean that you feel your back pain has a life of its own but it maybe that you have not been informed about or considered all of the potential contributing factors. These other factors can include abnormal sleep, lots of life stressors including work and family, feeling that the pain will never go and negative beliefs about your back and performing daily activities. Its probably not your spinal posture, your pelvic tilt, a teeny weeny muscle not firing or something needing to be put back into place causing your back pain. How do we know? We have studied this stuff to death. If you have been told this before it could mean your therapist is not up to date with the latest research in this area. You may have been given lots of opinions previously and it can often be confusing for you and hence the need to be aware of the scientific data in this area. There are NO magic treatments for back pain that work for everybody unfortunately. It might not be one singular problem but a few different things happening together. A minor pain might be exacerbated by other things that are making you a bit more sensitive. Your therapist should be able to give you some basic advice or point you in the direction of others who can if it needs more specialist help. Lots of different treatments can help in the short term, such as a few hours or days, but don’t simply put your recovery in someonelse’s hands. This has been shown to often be worse in the long term. You may have to avoid aggravating activities in the short term but make sure you go back to doing them. Nothing should be off limits in the long term. Don’t let anyone tell you otherwise. People who feel they need to protect their backs can also have worse outcomes. Learning more about what helps you and what makes you worse is important to help you manage your back pain. Your therapists should help you do this. Movement and exercise might help. Unfortunately here are no magic exercises for back pain. Find what you enjoy and just do it. This could be Pilates, strength training, sport with friends or simply going for a walk in the park. Don’t feel you have to really push yourself to get stronger or fitter but it is good once in awhile to exert yourself. This gets your body used to doing it. Moving and exercising can help us build confidence in our bodies and this might be key to recovery rather than fixing a physical problem. The common term for persisting pain is chronic pain, The term chronic does not mean ‘worse’ it is actually just a general term for pain that has gone on for longer than 3 months. We could see persisting back pain as our protective systems, in this case pain, doing its job too well. Although pain is normal and a good thing, we could see it a lot like red wine. A little bit is great, but sometimes we can have too much of a good thing and it leaves us with a hangover. Persisting pain is currently seen as problem of the protective system itself rather than simply reflective of the state of your body. The more we work the mechanisms that contribute to pain the stronger they can get. It’s a bit like working your bicep in the gym. Just like your muscles the protective system can adapt and get better at protecting you. Unfortunately this means that the things that did not used to cause you pain now can do and may explain why you can be very sensitive to things that used to be normal. All of this does not mean you can't get better but it is not as simple as finding an 'off' switch. Claire Higgins - Your back is designed to be strong. It can so easily be visualised by patients to be a stack of blocks which could be "crushed" or "topple" at any moment. Education on how our backs are super strong and to trust in them is important. Claire Higgins - Focus on the things which turn your pain down, restoring balance e.g. exercise, meeting friends for coffee, being in the great outdoors. https://cor-kinetic.com/wp-content/uploads/2018/03/download-1.jpeg 221 300 Ben Cormack https://cor-kinetic.com/wp-content/uploads/2017/02/cor-kinetic-logo.png Ben Cormack2018-03-03 09:43:432018-06-19 04:46:59Knowledge is power- What I need people with back pain to know. What does the EVIDENCE tell us is the BEST exercise for back pain? Lower back pain is a real BIG DEAL for a lot of people and with all the opinion and dogma that gets attached to various exercise types surrounding it I thought I would take a little look at the EVIDENCE base to try and get some clarity on what really is the BEST exercise for low back pain (LBP). We are in luck here too. The good folks of academia have blessed us with a plethora of studies to choose from, not just looking at if a certain type of exercise is effective for LBP but also comparison studies to find out if they are MORE effective than something else! Lets start off looking at one of the most popular methods touted to resolve chronic back pain…..Pilates. This study *HERE* looked at Pilates in comparison to a stationary bike program over 8 weeks. The results indicated that at a 6 month follow up, an important time measure for CHRONIC pain, there was no between group differences, both were effective for reducing pain, disability and catastrophising. Interestingly at 8 weeks the Pilates group was performing significantly better than the stationary bike group but NOT at the six month follow up. Could this be due to receiving an exercise method PERCEIVED to be the most clinically relevant treatment and influencing the short term measure? This result was also replicated with a larger look at the data in a meta analysis of core stability exercises versus general exercises for chronic back pain *HERE*. The authors concluding that core stability training out performed general exercise in the short term but not in the longer term. This paper found that a successful outcome for lower back pain using core based exercises was not associated with improved abdominal muscle function *HERE*. A positive effect of stability exercises has been postulated to be due to central mechanisms unrelated to abdominal muscle function. One reason could be the expectation being met of receiving the most PERCEIVED relevant treatment hence the shorter term success in the outcome measures. An expectation being met may activate mechanism’s such as the reward analgesia system. Next up we have a walking program compared to specific back strengthening exercises *HERE*. Both were performed twice a week for six weeks and a number of measures were taken. Again both groups improved but without much difference between them. It is important to note here that the participants were all sedentary to begin with so a take away maybe that the ACTIVITY here was the most important factor for those who do not do very much of it rather than the SPECIFICS of the activity. Conventional wisdom may have us believe that a specific intervention, due to its targeted nature, should out perform the more general one and not just a bit but significantly. That does not seem to be the case however. Much more general exercise WITHOUT the need for specific instructions or exercise experience and expertise seems to be just as effective. A classic ‘moan’ from the sycophantic supporters of failed treatments is “they did not do it right” shifting the blame over to the person. The good thing with a more general program is that we can say with a degree of certainty they are just as effective but without so much that can be done in the ‘wrong’ way. This randomised control trial *HERE* looked at a higher loading exercise program versus a lower loading ‘motor control’ program for patients with ‘mechanical’ lower back pain. Here the lower load group outperformed the high load group in some measures but at the 12 & 24 month follow up *HERE* there was no significant difference in the outcome measures. So again we see no real differences between two quite distinct exercise programs with both making improvements. There are some caveats here. Both groups received education about pain mechanisms and, gulp, non alignment and optimal movement (whatever that is). As both groups shared this, it could have been an influence on the outcome. The low load group also did a greater variety of movements rather than just the deadlift performed by the higher load group. There is data, that we will get to later, that suggests reduced variability could be a factor in cLBP hence a healthy dollop of variation of movements performed could have had a positive effect. A comprehensive paper “Exercise interventions for the treatment of chronic low back pain: a systematic review and meta-analysis of randomised controlled trials” found beneficial effects for exercise over thirty nine RCTs with a small but SIGNIFICANT effects on lower back pain for both strength/resistance AND coordination/stabalisation programs. The largest effect size was seen with exercise programs that focused on the WHOLE body which tended to be strength/resistance based. The important take home here is that exercise interventions were deemed more beneficial than other treatments. The EVIDENCE of ANY real superiority of one type of exercise over another seems to be lacking here. Anyone who tells you they have a SUPERIOR ‘method’ maybe over egging the pudding! What activities do people ENJOY? How easy is it for them to do? How relevant is it to their functional outcome measures? Are they easily able to access the necessary equipment or need specialist instruction? I discuss the effect of environment and access *HERE*. A focus on the HUMAN BEING doing the exercise rather than just their back might be just the ticket! A good rehab program should be well rounded and encompass lots of factors associated with human function rather than trying to find the magic bullet of one type of exercise. Imagine if athletes only ever practiced one type of exercise! A combined approach to physical rehab could be beneficial incorporating variation in movements, high and low loads and specific and more general components. An approach to lower back pain that considers lots of different aspects around movement is by Nijs et al *HERE*. 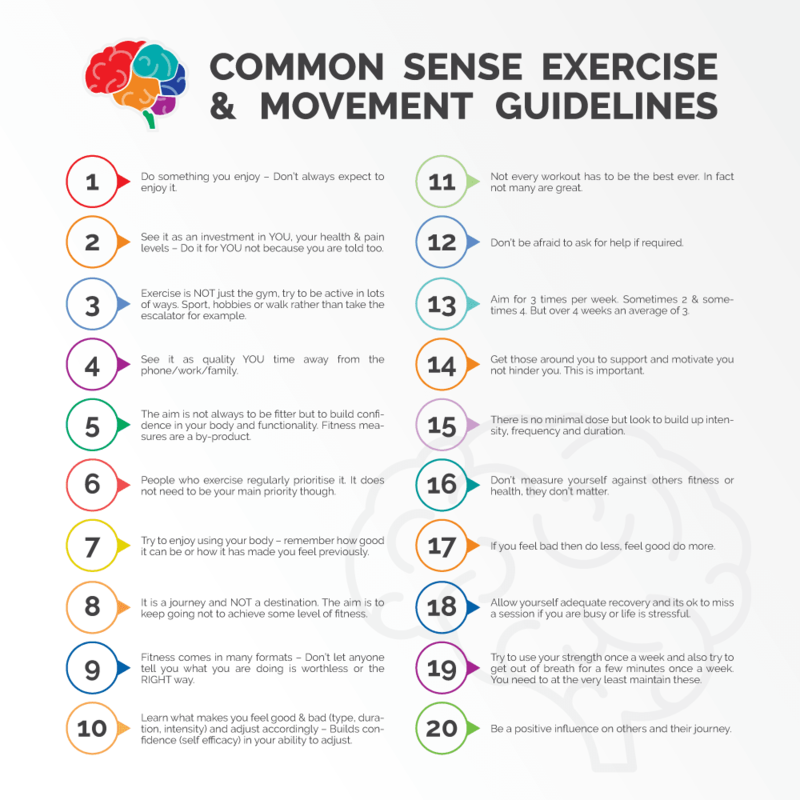 It fits all my biases of people’s individual relationships with movement/exercise therapy for their back pain and the multiple factors to be considered across both the cognitive and physical realms. So it makes sense that if exercise works for lower back pain then it maybe due to the fact that people need to get a bit stronger or some more endurance and that performing exercise helps with this. Like lots of things that seem to make sense in regards to the body it is not so clear cut when we delve in a bit deeper. This systematic review *HERE* concluded that the positive effects from exercise for LBP were NOT directly attributable to things such as strength, mobility or endurance. Deconditioning has often been linked to lower back pain and hence the idea of reconditioning as a cure for lower back pain. This did not seem to be the case in this study *HERE* that looked at physical deconditioning in the first year following the onset of back pain. Perhaps this adds to the argument that the DOING of exercise in more important than the type or the targeted physical aspects e.g. strength. The potential for the PSYCHOLOGICAL effects to be as important, or even more so, than the physical seems highly plausible and is certainly food for thought. Being physically active is often touted as both prevention AND cure for LBP. This paper *HERE* suggests that it is not that clear cut, surprise surprise, looking at it as being more of a U shaped relationship. They found a moderate increase in cLBP risk with both a sedentary lifestyle OR excessive activities so more does not simply equal better when it comes to exercise. This systematic review with meta analysis *HERE* DID find, although no discussion of the bottom and top ends, low to very low evidence that exercise alone reduces incidences of LBP and moderate evidence that combing education with exercise also helps. As usual the deeper we delve the less clear it becomes and why we should be wary of simplistic answers and cures that are usually based around doing the one BEST thing such as activating a muscle or correcting a pelvic tilt. Are there any physical ‘deficits’ or characteristics we see with LBP? Nourbakhsh and Arab *HERE* DID find that muscle endurance and weakness WERE associated in their sample size of 600. This however does not imply that these factors were a cause of LBP especially with the type of the study performed. Both papers also looked at some structural factors and their association with LBP. NEITHER paper could find an association between lumbar lordosis angle or pelvic tilt angle. Nourbakhsh and Arab also investigated the association of leg length discrepancy and abdominal, hamstring and hip flexor length with LBP and found none. This paper *HERE* looked at the spine loading characteristics of those with and without back pain. They found INCREASED spine loading for those with LBP and significant increases in all of the 10 muscles studied using EMG data. They also found the LBP group had severely restricted motion in a free lifting task. They concluded that the increase in spinal loading was due to INCREASED muscular co-activation. Trunk stiffness in this study *HERE* was related to fear of movement in those suffering from LBP. Greater kinesaphobia fear of movement) resulted in greater trunk stiffness. So we have kinematic and muscular data suggesting that those suffering from LBP have GREATER muscle activation and co activation and REDUCED movement around the lumbopelvic area. This makes sense if we see muscular responses to pain as being PROTECTIVE in nature and aiming to minimise movement in this area due to pain or the perceived THREAT of pain. Here is a bit of opinion based on the data. How do exercise strategies that promote core stiffness such as many popular approaches for LBP affect this? Could they perpetuate the problem rather than solve it? High loading strategies may also promote increased stiffness, could this have the same negative effect? Could a key be being able to ‘turn off’ muscles as much as we are trying to ‘turn them on’? Potentially choosing the right amount of muscular activation and stiffness for the task is the sign of ‘healthy’ movement rather than just increased ‘activating’, ‘firing’ or whatever you choose to call it. Reduced movement may not be under activation of a muscle but increased activation of another to stiffen the joint. Freedom of movement, both physically and psychologically, should be an aim for those working with people suffering from lower back pain. As it’s my blog I get to indulge in some my biases! One of those is movement variability. There is a reasonable amount of data in my opinion that suggests decreased movement variability is associated with LBP. This first paper supports some of the kinematic changes we see around the trunk discussed in the section above. The authors *HERE* looked at the coordination patterns between the trunk and the pelvis during running and walking comparing different groups. As loads increased during running, variability in pelvis and thorax rotation decreased on a continuum between the no LBP group, one bout of LBP and then the chronic LBP group. The decrease in variability could be due to the increased trunk STIFFNESS noted in other papers. Lamoth et al *HERE* found a more rigid, less flexible pelvis-thorax coordination variability (counter rotation) as walking velocity, and therefore demand, increased. This decrease in thorax to pelvis motion was also present in a study by Van Den Hoorn *HERE* and also attributed to increases in trunk stiffness. As well as looking at the kinematics they also explored INTRA (within) muscular activity using EMG. They found significant higher values for EMG activity for the LBP group, consistent with other studies, to accompany the reduced kinematics of the spine indicating a stiffer strategy. The LBP group also displayed decreased variability in muscular strategy, not displaying the shift in activity to different muscular regions that the pain free group did. This repetitive muscular strategy was accompanied by an increase in LBP, reduced lumbar movement and increased pressure pain sensitivity. What does this variability stuff all mean? Well it could be that simply decreasing trunk stiffness may automatically increase variability. It may also be that focusing on decreasing stiffness through more relaxed movement across a variety of tasks, such as gait, could be a treatment strategy for LBP sufferers. Could this increase in stiffness and decrease in variation also play into intra muscular metabolism? This could potentially increase ongoing sensitivity via mechanisms such as changes in local tissue PH and excitation of acid sensing ion channels in afferent neurons. Lots of different types of exercise have a positive effect on LBP. No one type seems to be superior. Focus on the HUMAN BEING not just the back. Exercise that people enjoy and is easy for them to do will probably get done and hence have a positive effect. Consider a rehab program combining different exercise variables e.g. high and low load and types rather than one singular type or exercise method. Deconditioning is not clearly associated with LBP. Positive effects from exercise for LBP may NOT be directly attributable to things such as strength, mobility or endurance. Increased trunk stiffness and decreased ROM and speed of lumbar movement ARE associated with LBP. Structural factors such as lumbar lordosis, pelvic tilt, leg length discrepancy and muscle length are NOT likely to be associated with LBP. Kinematic AND intramuscular reduction in variability is associated with LBP. Decreasing stiffness and promoting freedom and variability of movement maybe a good goal in rehab, especially with those displaying kinesiophobia. https://cor-kinetic.com/wp-content/uploads/2016/08/Woman-lunge-1.jpg 357 500 Ben Cormack https://cor-kinetic.com/wp-content/uploads/2017/02/cor-kinetic-logo.png Ben Cormack2016-08-02 11:26:402017-03-12 09:47:46What does the EVIDENCE tell us is the BEST exercise for back pain? 'Pain is in the brain' – Is it a load of s**t? “Pain is in the brain” is by far and away one of my least favourite phrases and in my opinion unhelpful in understanding a modern view of pain. Well there are a number of reasons. It implies (to me anyway) it is not IN the body. This for many people is tough to get their head around, and rightly so. This may also imply that it is “all in my head”. Again not a helpful message for many and could potentially create more problems than it attempts to solve. Has created polarisation. As pain obviously has a good part of its genesis within the body we now get the “pendulum has swung to far” fight back. This is a completely warranted stance against this argument. The problems potentially lie in the perception of those who think that anyone who believes the brain is major player in the pain experience is suggesting pain is all “in the brain”. It is easy to create a counter argument against a polarised opinion. That it is idiopathic and spontaneously erupts. Whilst this maybe true in some isolated cases for many it is a maladaptation of the system in response to a more physical genesis. ‘Pain is an output of the brain’ seems a much more sensible way to explain the pain process in my opinion. This allows a model that incorporates both input from the body and a modulation of that input in the brain. The more pain persists then the more it may be driven by top down rather than bottom up influences although we must remember that we can get changes, or plasticity, in the nociceptive (noxious stimulus) or danger processing system further down the chain in the periphery and the spinal cord as well. Stimulus (danger!) processing within the brain can actually be used to turn the output or emergance of pain down as well as up. We have cleverly named ‘on’ and ‘off’ cells in our rostral ventromedial medulla (RVM) that do just that. ‘Off’ cells exert descending inhibition on nociceptive transmission while ‘on’ cells facilitate it. Moseley & Valyaen HERE and Zusman HERE have both proposed coupling between proprioceptive information, pain responses and memory within the brain that no longer requires nociceptive input from the body. HERE we see that the visual distortion of a limb can actually affect the processing of pain! 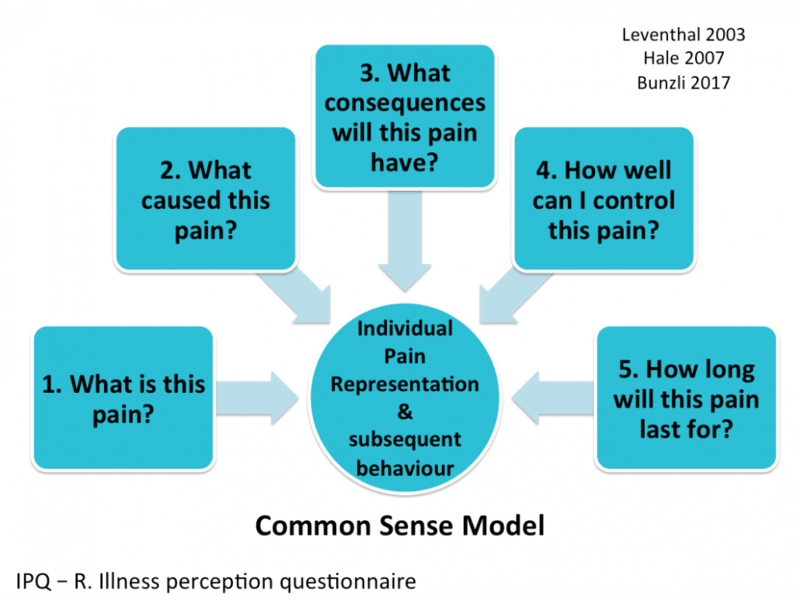 These pieces of research and theory help us understand that pain is a complex process and a ‘pain’ signal is not just simply relayed from the body but it also does not mean that pain is only ‘in the brain’. So if someone was to ask “is pain in the brain?” My answer would be no, it is much more likely that it is a complex interplay between bottom up and top down influences modulated by many factors and that the sensitivity of the systems involved in the experience of pain have the potential to change over time at peripheral, spinal and cortical levels. ‘Pain is in the brain’ seems open to being misconstrued by those in pain and also those who realize it has a great deal of its genesis within the body too. Is the ‘issue in the tissue’? Although we are realizing that pain and damage are not one and the same, local biochemical processes are likely to be very much at play. Whilst there may not be pathology we may have a pathophysiological process occurring, this being a physiological process that has gone a bit haywire! An example might be if I go out and run a bit more than my body is used too and the normal reparative processes, such as tissue regeneration, becomes replaced by a different cellular expression such as pro inflammatory chemicals like neuropeptides. This has been documented with tenocyctes (fibroblastic like cells) as they transduce mechanical force (mechanotransduction) into cellular processes such as the expression of substance P potentially creating a peptidergically driven inflammatory state in the tissue HERE and HERE we see an elevation of substance P in vivo in response to load. So we may have a situation where the local tissue state is chemically sensitized due to activity, perhaps previously under loaded tissue, and this could potentially be turned up by changes in sensitivity in the systems involved in pain peripherally, spinally or cortically dependent on individual previous pain experiences. Changes in the systems involved in the emergance of pain don’t have to be ‘in the brain’ either. The sub cortical bits can play their role too with actual physical changes occuring to the peripheral nervous system (PNS) within the tissue. These changes to the PNS include an increase in number of ion channels in the terminal endings of nociceptors making it easier to get sodium ions into the cell, depolarise it and send a signal (action potential) to the CNS. We also see an increase in the number of receptors and previously silent receptors becoming active. The signal processing at the dorsal horn can also be ‘turned up’ with more NMDA/AMPA channels making it easier for the peripheral signals to be sent up the chain and an increase in excitatory neurotransmitters, such as glutamate and aspartate, and a decrease in inhibitory chemicals such as GABA and endogenous opioids. We can also get long-term potentiation of spinal neurons in response to repetitive stimulation or a sustained ‘volley’ of signals from the C-fibre’s. Basically put the more noxious stimulus we receive the more sensitive the dorsal horn becomes to it. Has the pendulum swung to far? That probably depends on your bias and opinion but if someone was to suggest that pain is solely ‘in the brain’ then I would suggest yes it has! An inclusive model that allows physical, physiological, neurological and psychological processing changes probably fits with what we know about pain at this point in time. Sometimes the pendulum may have to swing big firstly to overcome the inertia of previously held beliefs and then hopefully comes to rest somewhere in the middle. https://cor-kinetic.com/wp-content/uploads/2015/11/Depositphotos_1230282_m-2015-small.jpg 750 1000 Ben Cormack https://cor-kinetic.com/wp-content/uploads/2017/02/cor-kinetic-logo.png Ben Cormack2015-11-15 08:32:192015-11-15 08:32:19'Pain is in the brain' - Is it a load of s**t? 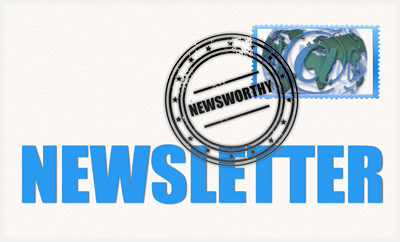 Signup for newsletters, early notice of events and new articles from Cor-Kinetic.